DC's biggest heroes unite in the newest poster for Justice League. The poster, released hours before the highly anticipated DCEU panel at San Diego Comic-Con, features Wonder Woman (Gal Gadot), Batman (Ben Affleck), the Flash (Ezra Miller), Aquaman (Jason Momoa), and Cyborg (Ray Fisher) gathered together, with the words "You can't save the world alone" (cleverly incorporating each hero's logo) in the center. Justice League will see Affleck's Bruce Wayne, fueled by a restored faith in humanity following Superman's (Henry Cavill) sacrifice, enlisting his newfound ally Diana to face an even bigger threat– Ciaran Hinds' Steppenwolf. Together, the two work to recruit a team to face off against the newly awakened enemy, but, despite the formation of an unprecedented league of heroes, it may be too late to save the planet from an assault of catastrophic proportions. While that plot summary sounds pretty vague, things are starting to ramp up for Justice League, and a whole lot more information should be coming our way soon. (Keep checking back with Looper for more updates from SDCC throughout the weekend.) 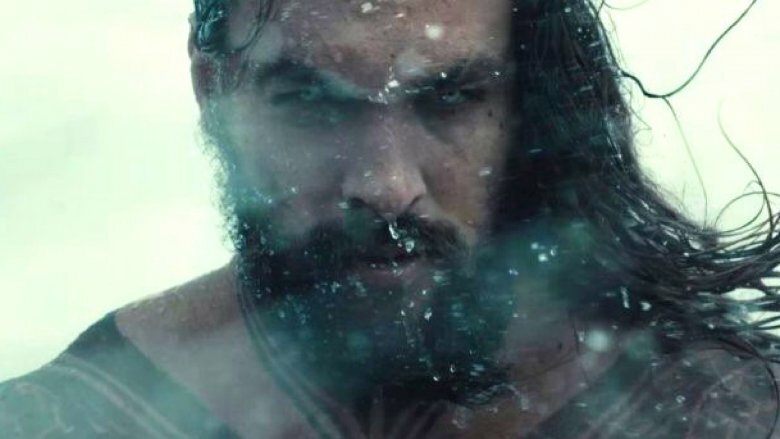 We do know that the film will somehow incorporate a bevy of impressive supporting characters, including Kiersey Clemons' Iris West, Billy Crudup's Henry Allen, Amy Adams' Lois Lane, Diane Lane's Martha Kent, Jesse Eisenberg's Lex Luthor, Connie Nielsen's Queen Hippolyta, Robin Wright's General Antiope, Amber Heard's Mera, and more. Joss Whedon is currently finishing up work on Justice League, taking over for Zack Snyder, who had to leave the film due to a family tragedy. The movie is due out on Nov. 17; while we wait, see why the finished product will actually be better than you think.